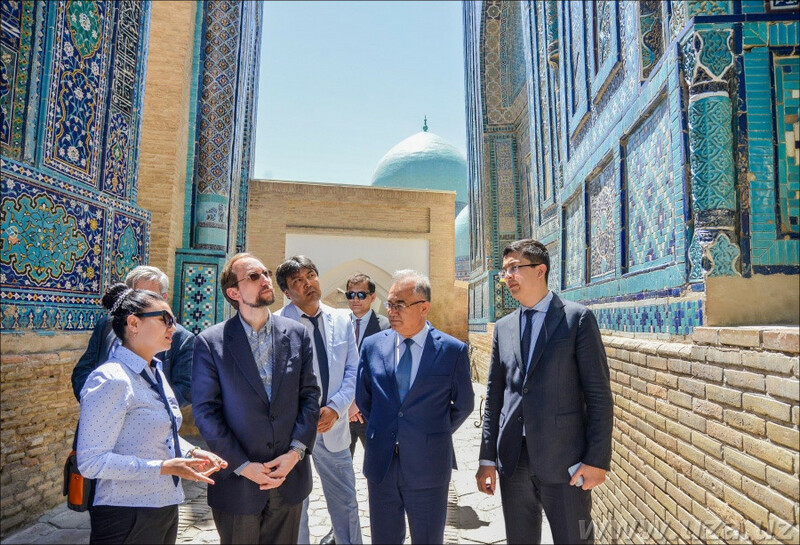 UN High Commissioner for Human Rights Zeid Ra'ad Al Hussein has been in Uzbekistan since 10 until 12 May 2017. Human rights defenders and civil society activists both at home and abroad were eagerly awaiting this important event. It was the first trip of the UN official to this country and to Central Asia in general. And it should be noted that none of its six predecessors visited Uzbekistan at this high international level before. Probably nothing really was discussed. The parties simply showed respect to each other. Zayed Ra'ad Al Hussein described the achievement of an agreement on cooperation between Uzbekistan and the Regional Office of the UN Office for Human Rights in Bishkek as one of the main outcomes of these official negotiations. Earlier, the regional office which was opened in the capital of Kyrgyzstan in 2008 worked only with Kazakhstan, Kyrgyzstan, Tajikistan, and Turkmenistan. And now here is a ‘breakthrough.’ But surely he had been preparing for a long time and was known to all actors in advance. ‘I was particularly struck by yesterday’s meeting with members of civil society. Firstly, the attendance was high — some 60 people in all (twice as many people as we were expecting) from different segments of civil society, including some of those most critical of the authorities. Secondly, several participants expressed very forthright opinions, yet there seemed to be little or no anxiety about the presence of numerous TV cameras, including state television,’ UN Human Rights chief reported. A complete delight in general. Present civil activists (although six dozen people - not entirely clear where they had got from in Uzbekistan) were also pleased with the brief communication which lasted less than an hour. The third event is a meeting of the International Press Club. For some time such meetings in Uzbekistan have been substituting traditional for the whole world press conferences - speeches of politicians and officials to journalists. Former Press Consultant of the former president of Uzbekistan and Press Secretary of the Prime Minister of Uzbekistan (in 2005-2008) Sherzod Kudratkhojaev chairs the Press Club. Among full regalia, Mr Kudratkhojaev is the head of the internet journalism department of the Tashkent State University now. His entire track record imposes special duties on him: it is this person who is in charge of portraying the appearance of freedom of speech and the openness of the authorities in Uzbekistan today. And what happens behind the scenes? It happens that only selected people are invited to the meetings of the ‘international press club.’ The freelance correspondent of Fergana Said Yanyshev has asked to joint this event in advance sending a request to the press service of UN High Commissioner, but received no response. ‘The UN did not respond to my request. Colleagues gave contacts of one of the organisers, but I was said that the list of [journalists invited to the press club] was approved at the Foreign Ministry level, and whoever is not on the list will not pass - such this openness and tolerance. They sent me several documents, but there is nothing but pictures,’ Said Yanyshev told the editorial office. 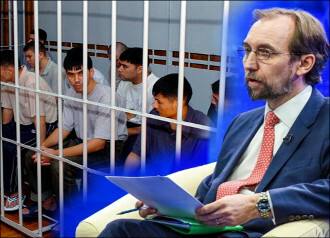 The fact that UN High Commissioner appealed to the Uzbek authorities with a request ‘to continue — as quickly as possible — with the release of more political prisoners, some of whom have been serving very long sentences’, was only reported by the official UN web site. But the Uzbek press did not write about it limiting itself to very formal reports on ‘the readiness to develop long-term and system cooperation’ and that ‘Zeid Ra'ad Al Hussein welcomed the reforms in Uzbekistan.’ The topic was timidly mentioned by only one edition: ‘The issue of releasing some people from places of detention was touched upon,’ it wrote. Why is it so? Probably, this issue is very painful for the Uzbek authorities. Because in Uzbekistan, despite the change of top management and the emergence of a new ‘democratic’ rhetoric, no fundamental revision of the previous state policy in the field of human rights has taken place yet. Hence, in the opinion of the government and the media under its control, there are no ‘political’ prisoners in this country and cannot be, and there is no political opposition locked behind the bars or expelled from the country. Obviously, President Mirziyoyev is not ready to accept his responsibility for the brutal crimes of the past. He is not hurrying to openly impose this responsibility on Islam Karimov, from whom on the contrary the policy of ‘the great leader of the nation’ is successfully moulded. For the new president, today is the most convenient time only to spectacularly play a ‘reformer’ and a ‘democrat.’ Because he is sure: everyone will support him. And it is more important for the diplomat Al Hussein to show trust in President Mirziyoyev, rather than severely criticising for crimes that were formally committed ‘under a different regime.’ After all, he perfectly understands these ‘eastern affairs’: make the cup run over - and no entry again into the country. On the eve of Zeid Ra'ad Al Hussein's visit to Tashkent, we took comments from representatives of three reputable international human rights organisations. And today we asked the head of the fourth organization who is directly familiar with the situation in Uzbekistan to comment on the already completed visit. ‘Moreover, UN High Commissioner has also voiced other mass violations of human rights. He publicly stated that there is a practice of torture and modern forms of slavery in Uzbekistan, about the presence of political prisoners in the country. His diplomatic tone in the dialogue with the government led to Uzbekistan's agreement to cooperate with the UN regional human rights office located in Bishkek,’ the human rights defender said. But, it is catastrophically small in her opinion. ‘In Uzbekistan, 500 national laws have been adopted, and 17 international agreements on human rights have been signed, but while these legal mechanisms do not even provide a sufficient degree of freedom of expression to Uzbek citizens, the judicial system still subordinates to the executive branch, the Red Cross has not yet resumed its mission, as well as other international humanitarian and legal missions. Hence, the level of trust in such a power is still very low,’ Nadejda Atayeva concluded.